Philip Chapman-Bell, also known on the origami circuit as Oschene, just posted a crease pattern for this absolutely wonderful origami Rose, folded from a circle of paper. It has pentagonal symmetry! Marvelous! Visit his website and download the CP. Furthermore, as with all of his works, it is released under a very permissive Creative Commons license, which permits people to share, copy, print, and modify his designs, with a few limitations (share your creations under the same license, and no commercial use.) This is a great way to publish origami materials, as it allows individual users worldwide to use and share to their heart’s content while protecting the work from commercial exploitation by ethically-challenged people. Win-win, as far as I can see. I encourage you to think about releasing some diagrams in the same way, fearless reader! This is a crease pattern for Joel Cooper’s “Basket Weave” design, which features so prominently in many of his tessellation designs. It may have other origins as well- Joel has said as much; however, I have only seen it in his work, and that’s the first place I saw this, so until I see otherwise I’m crediting him with the design. That being said, here’s two different CP’s for it: one without a grid, and one with a grid. I highly recommend looking at the grid version to understand the spacing for this design, as it’s rather tightly packed together when folded. Basket Weave, Crease Pattern (PDF) Basket Weave, Crease Pattern, no grid (PDF) To see some photos of what this looks like when folded, peruse some of Joel Cooper’s mask photos; or check out the examples I folded a while back, here. Some absolutely stunning paper artwork made by Clive Stevens. I think this is perhaps the best paper cutting I have seen in this genre to date. Wow. (Erik the Red, of course picking an example that follows my own personal tastes…) Follow the link to check out his several galleries of beautiful work! Thanks to the great people at the russian site Hand Made for the link. updated 2016 – a full ten years later! – to point to Clive’s new site. 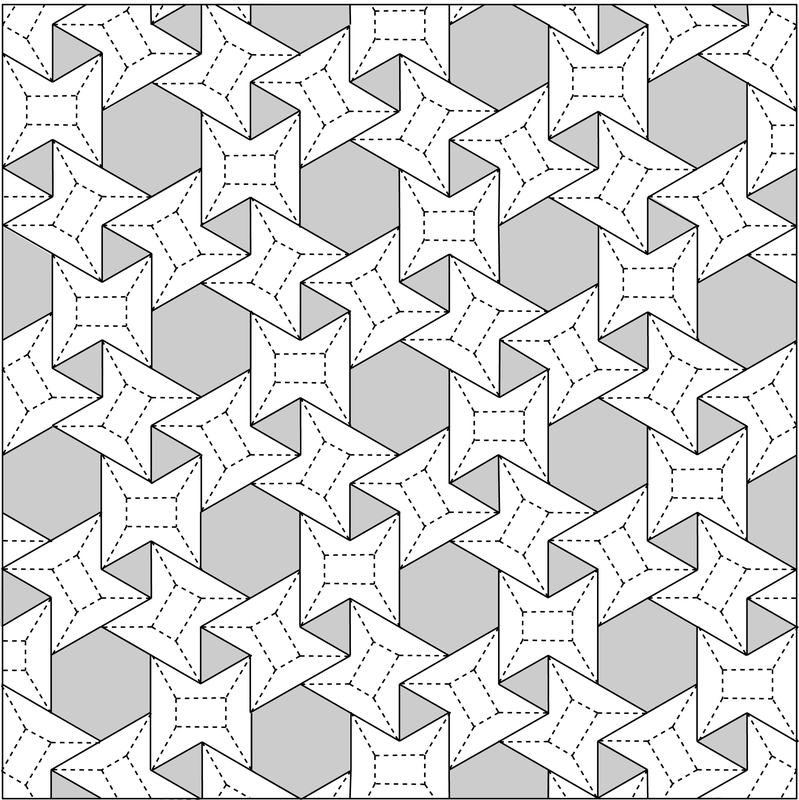 I saw this story come up on my Technorati search feed on “origami tessellations”. How random is that? 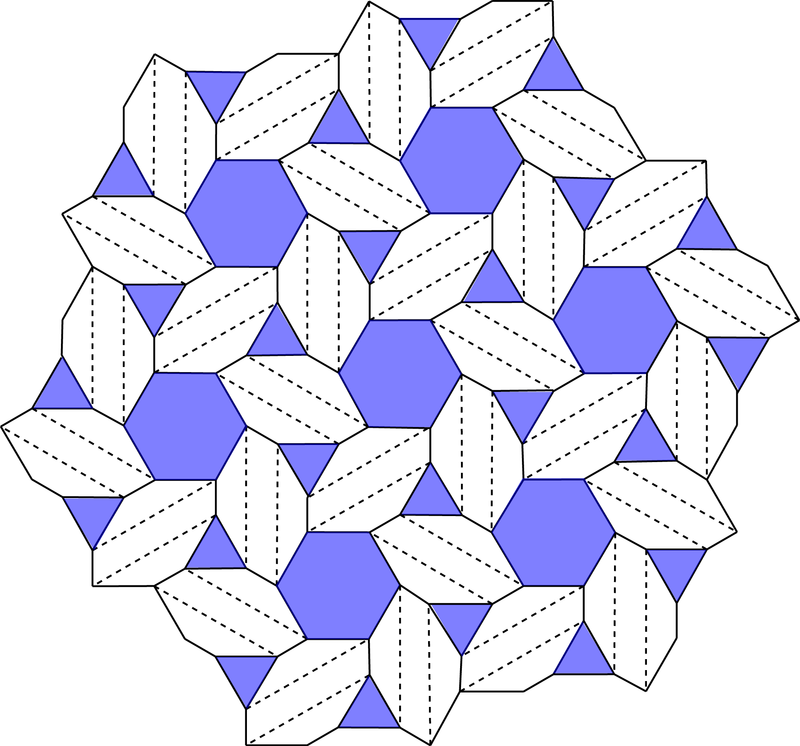 I’m guessing it’s tessellations of origami, and not the kind of tessellations that we do, but still it seemed interesting. I’ll have to try to remember to check this out if I’m ever in Portland! Having enjoyed great success with its downtown location (406 SW 13th), Masu recently built a branch in Southeast. There, origami tessellations hang on the walls, and futons lay behind the chairs. At the gorgeous, wood-paneled sushi bar, the chefs move fluidly. Light glints off knives. Chopping sounds fill the air. The rich smell of the freshest fish available is everywhere. Mmmm… Sushi!